Laser-based sensing techniques are attracting great interest in various fields of applications. 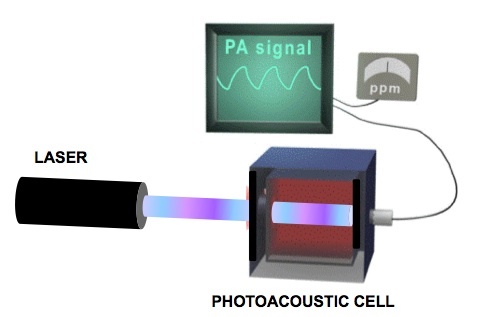 Among various detection schemes, photoacoustic detection offers some unique features over other laser-based techniques such as low sample volume, high sensitivity and wide linear dynamic range. Signal is generated only from the absorption thus being a so called zero-background technique. The performance of a laser photoacoustic spectroscopy system depends on the availability of appropriate laser sources, modulation schemes and the pressure sensor (i.e. microphone). Gasera’s ultra-sensitive cantilever microphone enables high sensitivity even with low cost telecom diode lasers that operate at the weak overtones of fundamental vibration bands. On the other-hand combination with high power Mid-IR quantum cascade lasers provides detection limits that no other method can achieve. 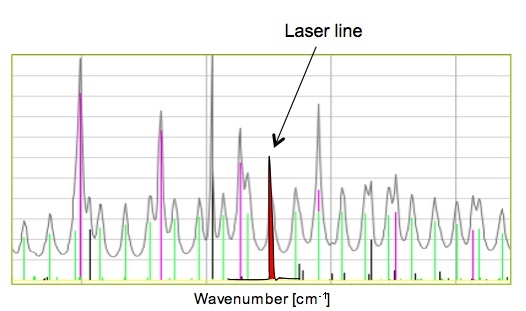 In the tunable diode laser photoacoustic spectroscopy the laser wavelength is selected so that only a single absorption line, characteristic to a target molecule, is used. This allows highly selective measurements. Power density of laser light is very high allowing high sensitivity and short response time. With tunable diode lasers a wavelength modulation across the absorption line is performed in order to minimize background signal.